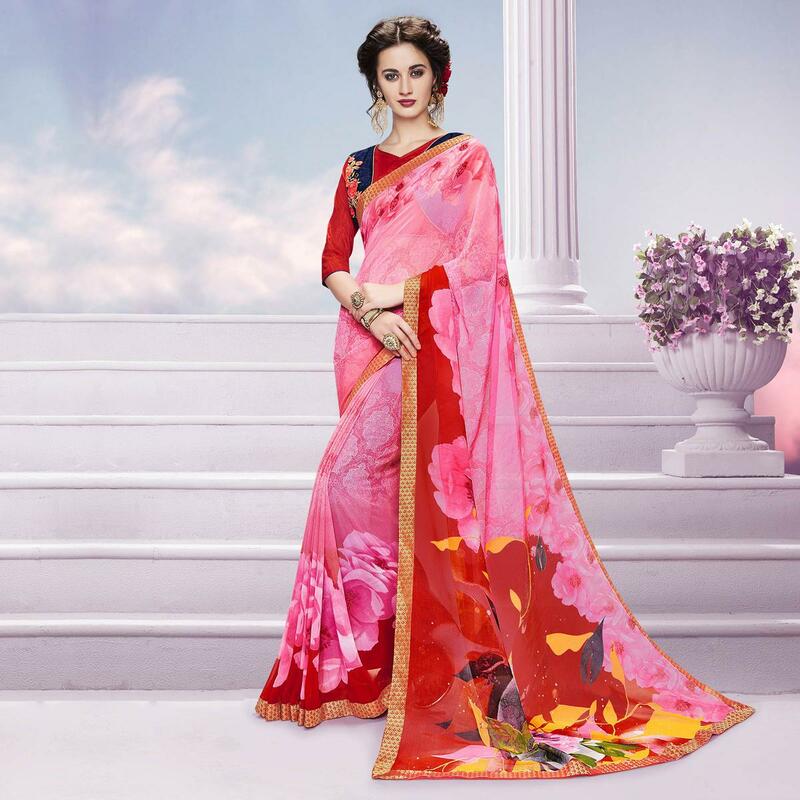 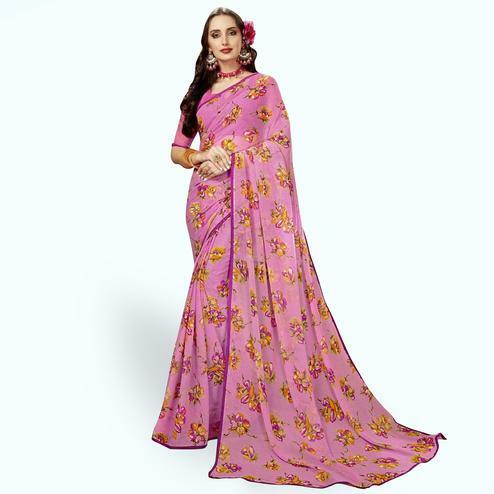 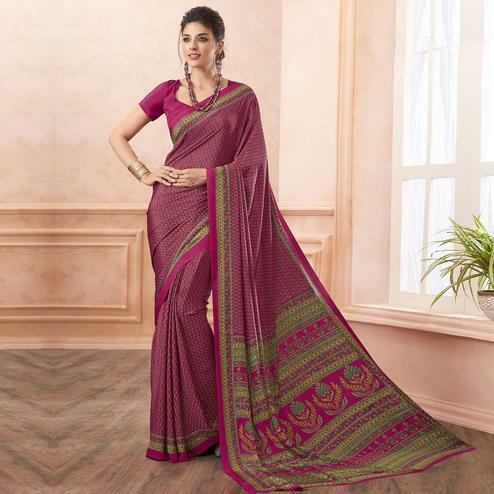 Featuring shaded pink - red color georgette fabric saree beautified with floral pattern print and ready made lace border. 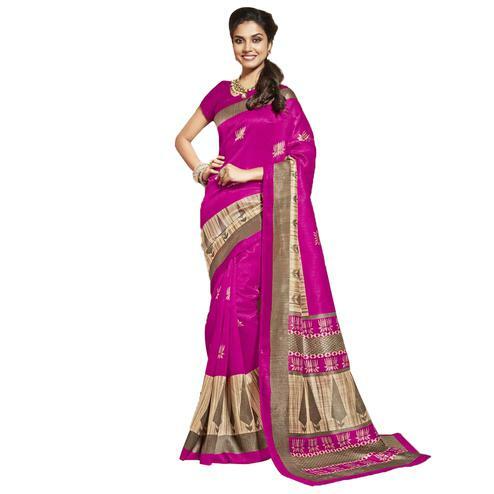 This saree is lightweight & easy to drape which provides the wearer a great comfort round the clock. 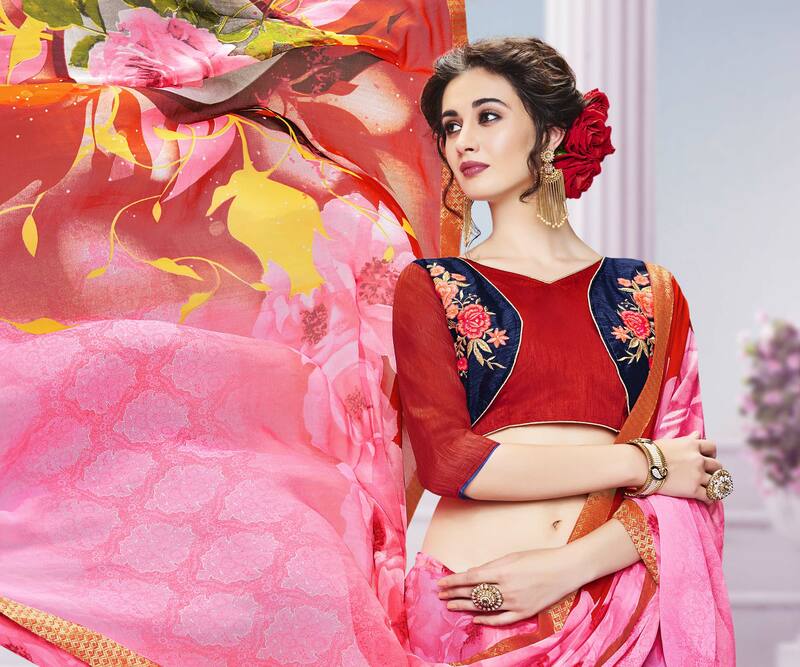 Saree paired with matching fabric blouse with embroidered work. 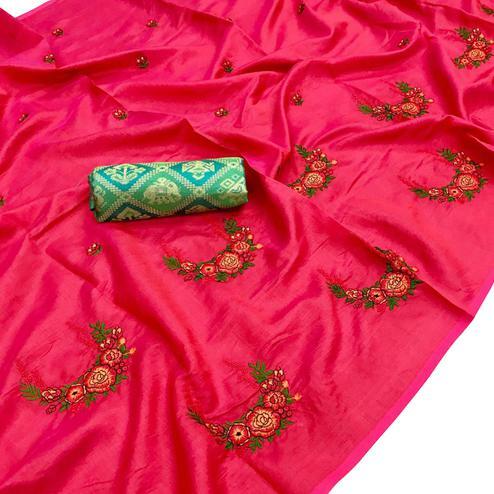 Ideal for kitty parties and social get together.